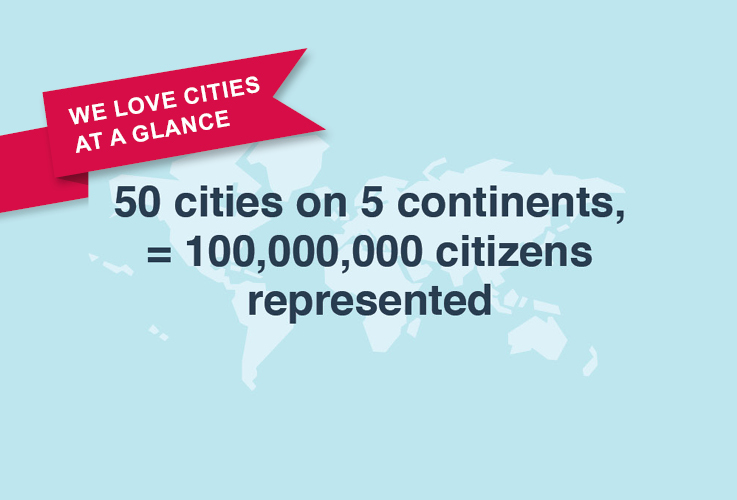 In 2018, 50 cities across 5 continents – representing over a 100 million citizens – participated in the We Love Cities campaign. All votes and suggestions were then handed over to city representatives for analysis. 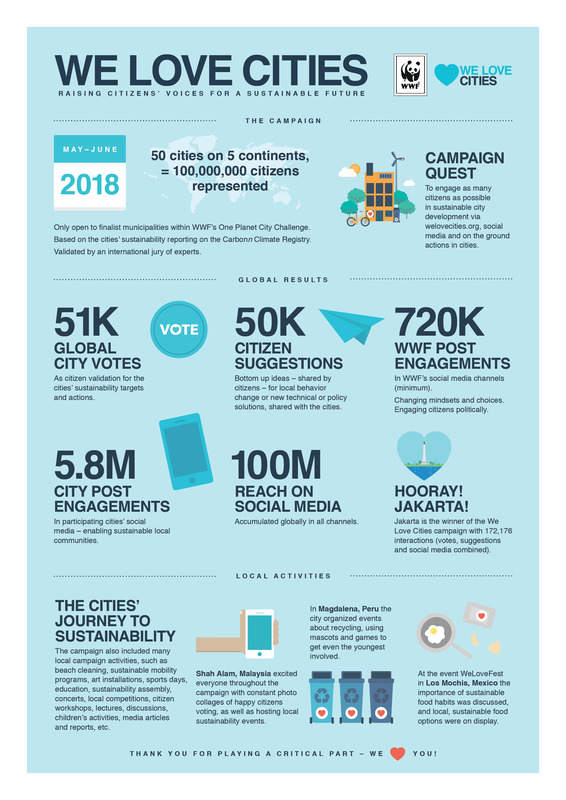 The purpose of WWF’s We Love Cities campaign is to build better communication between city officials and the citizens they represent on climate change and sustainability issues. During the campaign, we raised awareness and urged people to participate by: voting for their cities, thereby endorsing the sustainability commitments and actions that their city has made; asking for citizen suggestions to further change; and watching citizens and local governments join on-the-ground sustainability actions in their cities. WWF believes sustainability is a journey that we must travel together, and communication can propel our cities towards that goal. WWF wants citizens to see their cities as the location where they can affect real change. After all, change starts with individuals changing themselves and the place where they live. Local is all there is; and together, many local communities make a global planet of changemakers. The We Love Cities campaign is interwoven with WWF’s One Planet City Challenge (OPCC). When cities join the OPCC, they report their commitments and climate actions within an internationally recognized reporting platform. Cities are then evaluated by WWF and partners, resulting in the selection of national OPCC finalists. In the next step, all OPCC finalists are offered to participate in the We Love Cities campaign. We Love Cities on Facebook continues to activate citizens even after the official campaign is over. Follow us here.